As the temperatures continue to climb, more and more people will start up their recreational vehicles. 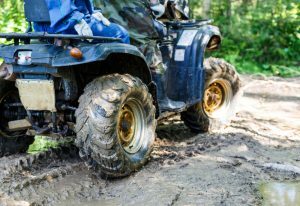 At Soucy Insurance, we want to ensure that all our customers enjoy a fun and safe Spring, and that begins with making certain your recreational vehicles are properly insured. Coverages vary and can include bodily injury liability, coverage for guest passengers, and property damage liability. Additionally, you can also receive coverage for collision, medical payments, and uninsured/underinsured motorists. Soucy Insurance offers comprehensive coverage for all types of recreational vehicles. We will work with you to customize a policy that suits your needs and budget. Call us today at (401) 762-2218 to learn how affordable protecting your springtime fun can be.